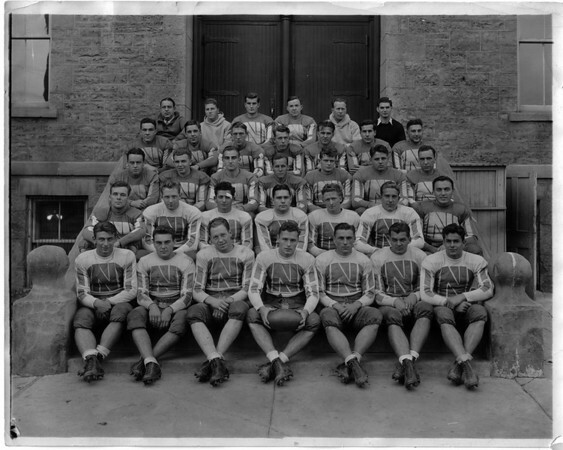 Taps Gallahgher seated in the forth row hird from right, is pictured with NU football squad. Except for wartime service in the Navy, Coach Gallagher was on the Niagara scene from 1931 to 1969. He received honors for his sportsmanship whether winning (most of the time) or loosing. Photo - By L. J. Schira & Son.